Crossfit changed my life – it is as simple as that. About one year ago I relocated from Berlin to India for job reasons. I was anxious – not because I had to find a flat, start a new job in a new company, deal with a foreign culture and language, not because it basically meant building a new life – no, I was anxious because it meant leaving my Crossfit box in Berlin. Crossfit is more than fitness, nutrition, and a lifestyle – Crossfit is family. I have never been a couch potato lazying around all day but sport and fitness have always played a more or less important part in my life. However, Crossfit is different from all other things I have ever done before. Every day I entered through the gate of CrossfitWerk, I found myself surrounded by positive people who believed in me, more than I do myself, making me accept challenges, grow stronger and more confident every day. They are there when you fail, when you set goals and they are there when you smash those goals which seemed unreachable just some time ago. The beautiful thing is that what happens at the box doesn’t stay at the box. All the energy, courage and strength that is built there, you get to take home with you, or your job, or wherever you need it most. I was scared of losing this never known support and positive energy. As it turned out that fear was unfounded. Instead of losing a family I became a member of an additional one. 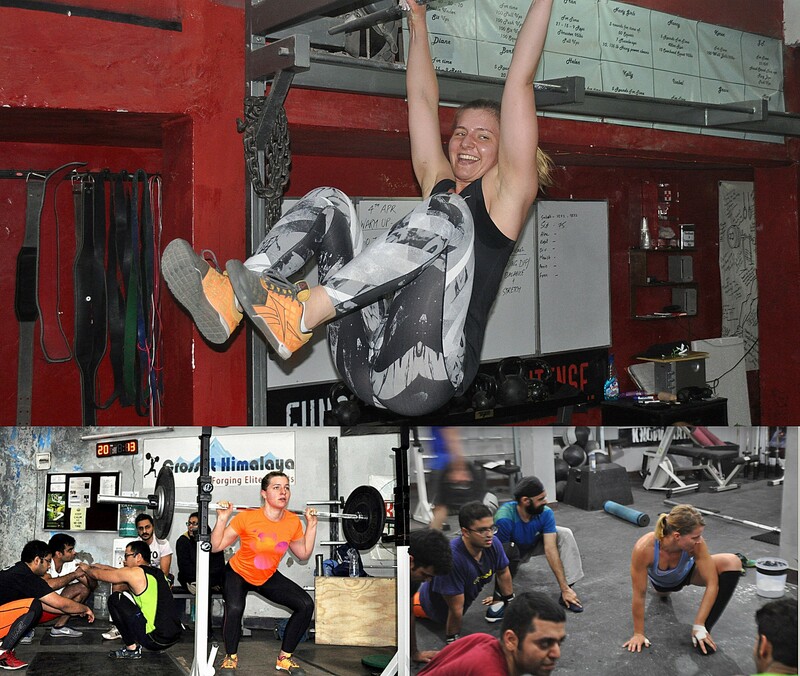 My journey to become a better version of myself which had started in Berlin continued seamlessly at Crossfit Himalaya in New Delhi which has become a home away from home. This might sound funny, but already in Germany i had the feeling that Crossfitters tend to be a very heterogeneous group of people with the common characteristic of being over-average awesome. This intuition was proven true in Delhi where I found a place packed with the most supportive, hardworking and inspiring people I should meet in India. Now I got three weeks left in this magical country and looking back at the past year, I can say that I have grown as an athlete and as a person. I have reached and accomplished things in and outside the box that I never thought were possible. And I am not the only one who noticed. Not many days pass when I don’t get to hear something like “Where do you get all the energy from?”, “How do you have the strength to just keep going without ever getting frustrated or discouraged?”, “How do you manage to look that fit and eat so much?? ?” (this is my favorite :-D). The answer is simple and I am sure that by now you can guess what it is!